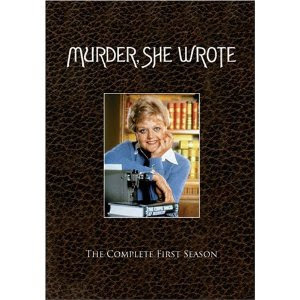 Following Bluerose's Heart's lead here again after reading her post (some time back) on her top ten television shows. Why am I sharing this on a book blog? Because the things you watch can influence you just as much as the things you read and have an impact on your worldview. (That's why we're supposed to be so careful about what we read and watch, understanding that media of any sort has it's effect! Good and bad.) I'll share my top ten favorite shows over the years to help you to get to know me a bit better as well. heh. Attorney Andy Griffith? ;D Yes, please! I thought this show was fun. Apparently when I want to relax in front of the television I like a good mystery. And Angela Lansbury never failed to deliver! Have you not seen Monk? The OCD police detective, constantly solving murder mysteries? Part comedy, part crime - this series really is quite awesome. Are you sensing a theme in what I like to watch?! On this post, Road to Avonlea looks like "Which One of These Doesn't Belong?" If you haven't seen this series (loosely based on Lucy Maud Montgomery's Chronicles of Avonlea and Further Chronicles of Avonlea) then I highly recommend it. Yes, even though it is loosely based. I think Sullivan did a marvelous job on this production and I own the whole series and watch them whenever opportunities present themselves. I'm thinkin' I'm going to explore the Avonlea during the next Lucy Maud Montgomery Reading Challenge (which is coming up in January!) Stay tuned for more details on THAT as the year winds down. 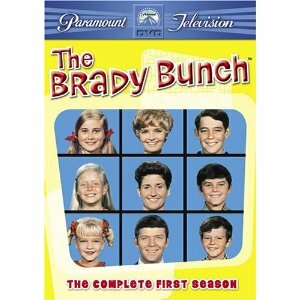 #8 - While we're off the main theme for television shows on this post, I might as well list The Brady Bunch . Guilty pleasures. 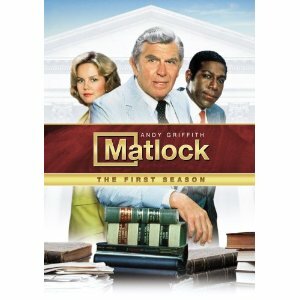 I watched every single episode (on syndication!) growing up and loved it. I haven't seen this show in a very long time and would be interested to watch it through again before my daughter Comes of Age to be introduced. We'll just see. Maybe I'd be horrified by it in watching again, I don't know. But now we're down to our favorite two shows at the present moment. I can hardly sit still while talking about this one. It's our other current (as in, on tv right now) favorite. 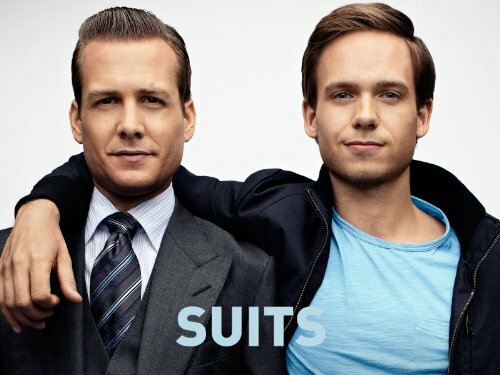 We don't have cable so we watch this show (and White Collar) on Hulu so we only view episodes after they've already aired. If you get to watch this show "live" do NOT tell me what's happening on it. 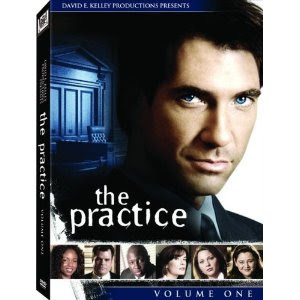 Follow Rick Castle, a crime novelist, as he follows NYPD's Detective Kate Beckett around the city, solving murders. I like watching television series like I like reading books - straight through the series and in order. Definitely need to explore some. Cosby Show...fun from childhood, but still clean too. Don't watch often though. I like fluffy Mondays. How about movies next? It's so hard picking 10. I think I ended up listing 13, and I've thought of a few more that I'd forgotten about since then. I love White Collar and Castle, too. Though I have to confess I only saw one episode of White Collar their last season -- I've got the rest on tape. It was one we all used to watch as a family, but my oldest (who still keeps up with it and decrees it the best TV show of all time) moved away and everyone else seemed to drift out of interest. Last season it was on opposite something else we watched, so I taped it and have been waiting to catch up. I saw one or two of the Avonlea series at a friend's house. We didn't get the station it was on. I'd love to see the rest of it. We saw a few episodes of Monk but never watched it regularly. But I caught enough to appreciate the ending and nearly cry with him when he watched the final tape his wife made. Watched the Brady Bunch when it was first on. Don't know what I'd think of it now. As for what's on now, besides Castle and White Collar, we really like The Sing-Off, The Amazing Race, Biggest Loser, NCIs, and a new series called person of Interest. I just started watching The Mentalist this summer and really liked it until the main character killed someone in the season finale (and felt justified for the sake of vengeance) and then misled a jury in the season opener so he could get out of jail to track down the main guy he's been after all this time. I agree with what someone ,mentioned above about Cosby -- one of my all-time favorite shows. Just wanted to say that we are watching Brady Bunch as a family (our girls are 5, 6 and 7). The girls LOVE it! There are a couple episodes we've skipped and some issues that we've had to talk about while viewing. Overall, it's wholesome and fun. It's been fun to re-live the series through their eyes! We haven't watched much tv lately (obviously, hmmm?) but I'm feeling tempted to pick up some used seasons of some of these you've mentioned now. Sounds great for these upcoming winter nights. Oh, speaking of tv and winter nights, how about Into the West?? There's another fun one! From Christopher: I am shocked 'Star Trek: Next Generation' did not make this list. All of your STNG action figures are calling out from their plastic cases saying, "Why did you betray us Carrie?" Right with you on #2,#3, and #5! I don't watch a ton of television shows because I tend to get a little compulsive about it and ABSOLUTELY HAVE TO WATCH THE WHOLE THING FROM START TO FINISH. Hmmm, maybe there's more to my love of Monk than just the great story. Shonya - I think we tried an episode or two of Alias somewhere down the line but didn't connect. I definitely sense a theme! ;) The only one of the drama ones I've seen is Monk and it was interesting. I've seen one or two episodes of Lie to Me also, which I thought was fascinating. I've seen most of these but generally as a casual viewer. We've watched a few episodes of White Collar via Hulu and I can see how it would be easier to understand if I watched from the beginning. Castle is a favorite here. We also watch via Hulu and usually save it for Friday nights after the kids are in bed. Then we watch Castle, Bones, Chuck, Warehouse 13, and a few other shows. We tend to like legal/crime dramas as well as comedies and mild sci-fi. Oh! I almost forgot about Fringe. That's another one that has improved with time. Not so creepy and gross as the beginning since they've focused more on the stories of the characters. Have to keep the suspense of the relationship alive!!! 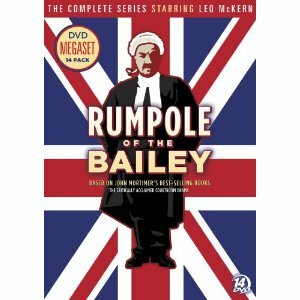 I LOVE RUMPOLE! Hello there. I'm Jennifer, and I found you through the Maud Hart Lovelace challenge. I am so sad that I didn't know about your blog in time to join you for the L.M. Montgomery challenge, one of my all-time favorite authors. I will definitely be here for it if you have it again in 2012! Come visit me at The Beauty of Eclecticism.